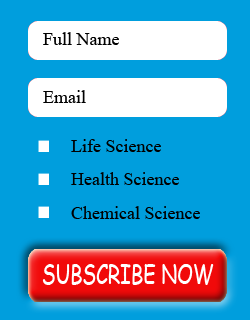 Health Care Journals | Open Access - Edelweiss Edelweiss Applied Science and Technology is an open access journal, our journal has a wide scope of topics related to science and technology, which are not limited to Basic Science, life science, computer science, environmental science, chemical science, electrical science, electronic engineering, industrial engineering, material science, astronomy and astrophysics. Particle size is a key factor for modern drug quality since it affects the bioavailability and dissolution profile of the drug product. Study for Particle size is helpful to optimize drug product development process and improve the quality of drugs. In Order to determine the particle size of Glimepiride a novel and accurate Particle size determination method has been developed for the determination of particle size distribution of Glimepiride was described in this paper. This method has shown good reproducible results. By using water as dispersant wet method is developed and validated as per International conference on Harmonization guidelines (Q2 (R1)) and found out robust and reproducible with % RSD of d (10), d (50) and d (90) values found within acceptance limit ranges from 6.05% to 21.84% for d(0.1), 3.04% to 9.87% for d(0.5) and 4.69% to 14.32% for d(0.9) in validation. The described method is accurate and validated and successfully applied for the determination of particle size distribution of Glimepiride. Particle size method is discussed in detail to ensure in-depth understanding of particle size distribution and particle size method performance during lifetime of the product. Glimepiride is a white to yellowish-white, odorless powder and is practically insoluble in water. Glimepiride acts as an insulin secretagogue and it lowers blood sugar by stimulating the release of insulin by pancreatic beta cells and by inducing increased activity of intracellular insulin receptors . Glimepiride chemically, is 3-ethyl-4-methyl-N-[2-[4-[(4-methylcyclohexyl)carbamoyllsulfamoyl] phenyl] ethyl]-2-oxo-5H-pyrrole-1-carboxamide is a third generation sulfonylurea derivative which is commonly used in the treatment of non-insulin dependent Type 2 diabetes mellitus [2-5]. Glimepiride, marked under the trade name Amaryl, is the first line medication for the treatment of type-2 diabetes mellitus [6-8]. Relative bioavailability, extended-released along with bioequivalence and immediate released is related to particle size of Glimepiride [9-12]. Literature survey done for Particle size distribution method for Glimepiride and found that particle size determination method is not available. Therefore, study was carried out to develop a method to determine particle size distribution of Glimepiride by Particle size analyzer and further validation of the method, was carried out. Triton x-100, water and Glimepiride was obtained from Indoco Remedies Ltd, Navi Mumbai, India. Particle size analyzer system of make Malvern and model is 2000 consists of Dry Scirocco 2000 and wet Hydro2000S accessories. The main goal was to develop method to obtain the most stable, reproducible, reliable method. Various dispersant were tried for the Glimepiride on the basis of solubility. Water is found well suitable dispersant to develop method for determination of particle size distribution of Glimepiride. Various trial were taken during method development as mention below, Glimepiride solubility within a suitable solvent system a critical role in particle size wet method development since sample preparation is play vital role. Make Malvern Mastersizer, Model Mastersizer 2000, Dispersion Unit Scirocco 2000, Method parameters are kept as Particle Refractive index is 1.520, Absorption is 0.1, Analysis Model General purpose, Obscuration range is 1% to 6%, Dispersive Air pressure is 2.0 bar, Vibration feed rate is 40%, Sensitivity is Normal, Sample measuring time 5 seconds, Background measuring time 5 seconds, sample preparation is Transferred about 1 to 2 g of sample into the sample tray with the help of a cleaned spatula and carried out the analysis The obscuration values are well within the limit and also weighted residual is less than 1%. Hence, proceeded for next trial by changing the feed rate 45% to check the effect on particle size. Various trials were taken by changing instrumental parameters. The obtained results of d(10), d(50) and d(90) values are not reproducible and % RSD is also not well within general criteria of USP, General Chapter <429>. Hence next development was carried out by wet analysis. Method parameters for wet analysis is Equipment Malvern Mastersizer, Model Mastersizer 2000, Sample handling unit is Wet Dispersion Unit, Sample model is Hydro 2000S, Dispersant name is Water, Dispersant refractive index is 1.330, Sample refractive index is 1.520, Sample absorption is 0.1, Sample measurement time is 10 second, Measurement Snaps is 10,000. Background Measurement time is 10 second, Background Snaps 10,000, Obscuration range is 10-30%, Stirrer speed is 2000 rpm, No. of measurement cycle 03,sample preparation is Weighed 200.26 mg of sample and transferred in beaker added 1-2 drops of Triton x-100 and few drops of dispersant and make a paste by using glass rod, then added 20 mL of dispersant. Sonicate externally for 40 seconds to form homogeneous solution. Sample solution was added in the dispersion unit when “Add sample under Obscuration” message was shown by the instrument software and performed the analysis. All method parameters were kept as per above only changed in sonication time 50 Sec. and performed the analysis. The obscuration is well within limit it is proved that there is no any effect of sonication time on particle size, Hence, preceded for next trial by changing stirrer speed check the effect on particle size. The obscuration values are well within the limit, from the obtained results there is negligible effect on the particle size by decreased in stirrer speed. Hence, Malvern Mastersizer, Model Mastersizer 2000, Sample handling unit is Wet Dispersion Unit, Sample model is Hydro 2000S, Dispersant name is Water, Dispersant refractive index is 1.330, Sample refractive index is 1.520, Sample absorption is 0.1, Sample measurement time is 10 second, and Measurement Snaps is 10,000. Background Measurement time is 10 second, Background Snaps 10,000, Obscuration range is 10-30%, Stirrer speed is 1800 rpm, No. of measurement cycle 03. Performed analysis repeatability with weight 200.68, 200.96 mg and 200.31 mg to check consistency. The obtained results of d(10), d(50), and d(90) values of analysis in twice are close to each other, weighted residue is less than 1% and obscuration is found satisfactory. To check the reproducibility of method three replicate of sample was analyzed and results were found reproducible & percentage Relative standard deviation of d(10), d(50), and d(90) is respectively 4.27%, 9.83% and 14.45 %. The validation work was conducted according to the ICH (International Conference on Harmonization) guidelines Q2R1. The method validation parameters include Precision, Intermediate Precision, Robustness and Batch Analysis. Procedure: Determined the particle size of six precision samples as per above method and recorded the particle size for d(0.1), d(0.5) and d(0.9) in Table 1. Acceptance criteria: The % RSD d(10), d(90) particle size values should not be more than 15, d(50) particle size values should not be more than 10. If the particle size is below 10 µm then the % RSD of d(10), d(50), and d(90) will be doubled. Procedure: Determined the particle size of six Intermediate precision samples as per above method and recorded the particle size for d(0.1), d(0.5) & d(0.9) particles in Table 2 and similarly, calculated cumulative average and cumulative percent relative standard deviation for particle size at d(10), d(50) & d(90) of twelve measurements i.e. six of precision and six of Intermediate precision. Procedure: Determined the particle size of three replicates as per method of analysis, only change the stirrer speed to 1800 rpm and recorded particle Size for d (0.1), d(0.5) & d(0.9) in Table 3 and similarly, calculated cumulative average and cumulative percent relative standard deviation for particle size at d(10), d(50) & d(90) of nine measurements i.e. six of precision and three of Robustness-1. Procedure: Determined the particle size of three replicates as per method of analysis, only change the stirrer speed to 2200 rpm and recorded the particle Size for d(0.1), d(0.5) & d(0.9) in Table 4 and similarly, calculated cumulative average and cumulative percent relative standard deviation for particle size at d(10), d(50) & d(90) of nine measurements i.e. six of precision and three of Robustness-2. Procedure: Determined the particle size of three replicates as per method of analysis, only change the obscuration range to 10-20% and recorded the particle size for d(0.1), d(0.5) & d(0.9) in Table 5 and Similarly, calculated cumulative average and cumulative percent relative standard deviation for particle size at d(10), d(50) & d(90) of nine measurements i.e. six of precision and three of Robustness-3. Procedure: Determined the particle size of three replicates as per method of analysis, only changed the obscuration range to 20 – 30 % and recorded the particle size for d(0.1), d(0.5) & d(0.9) in Table 6 and similarly, calculated cumulative average and cumulative percent relative standard deviation for particle size at d(10), d(50) & d(90) of nine measurements i.e. six of precision and three of Robustness-4. Procedure: Determined the particle size of three replicates as per method of analysis, only changed the sample measurement time to 3 seconds and recorded the particle size for d(0.1), d(0.5) & d(0.9) in Table 7 and similarly, calculated cumulative average and cumulative percent relative standard deviation for particle size at d(10), d(50) & d(90) of nine measurements i.e. six of precision and three of Robustness-5. Procedure: Determined the particle size of three replicates as per method of analysis, only changed the sample measurement time to 7 seconds and recorded the particle size for d(0.1), d(0.5) & d(0.9) in Table 8 and similarly, calculated cumulative average and cumulative percent relative standard deviation for particle size at d(10), d(50) & d(90) of nine measurements i.e. six of precision and three of Robustness-6. Method for determination of particle size distribution of Glimepiride was developed and validated using Laser diffraction technique. Dry dispersion technique was assesses and found that dry dispersion technique is not suitable for and wet dispersion was explored during development trials. Wet dispersant method frozen for determination of particle size distribution of Glimepiride. In method validation, method was found précised with % RSD of 10.59% for d(0.1), 8.57% for d(0.5) and 14.32% for d(0.9). In intermediate precision % RSD obtained were 6.05% for d(0.1), 3.04% for d(0.5) and 5.95% for d(0.9). Also, Cumulative % RSD obtained were 8.39% for d (0.1), 6.71% for d (0.5) and 5.12.40% for d (0.9).Hence, the method considered as rugged. certain parameters were modified within the allowed range and the results obtained were within the acceptance criteria and % RSD ranges from 6.22% to 21.84% for d(0.1), 3.47% to 9.87for d(0.5) and 4-.69% to 12.85% for d(0.9). It proved method is rugged. All the analytical data of development and validation has been compiled and found to be satisfactory. Hence, method developed for the particle size method can be suitably used for analysis of Glimepiride active pharmaceutical ingredient. The Authors wish to extend their gratitude to Indoco Remedies Ltd. For providing all kind of support. The Author wish to thank all our colleagues who provided technical assistance during research work and during compiling data. 4. United States Pharmacopeia, USP41–NF36. Olopatadine Hydrochloride ophthalmic solution (2018). 8. Davis SN. Insulin, oral hypoglycemic agents and the pharmacology of the endocrine pancreas. Brunton LL, Lazo JS, Parker KL (ed) (2005) In: Goodman & Gilmans: The pharmacological basis of therapeutics, McGraw-Hill, New York, USA. 11. Karkhanis VV and Captain AD. Development and validation of a liquid chromatographic method for estimation of glimepiride in tablet dosage form (2013) Int J Pharm Sci Res 4: 2742-2745. Kiran T, Shastri N, Ramakrishna S and Sadanandam M. Surface solid dispersion of glimepiride for enhancement of dissolution rate (2009) Int J Pharm Tech Res 1: 822-831.